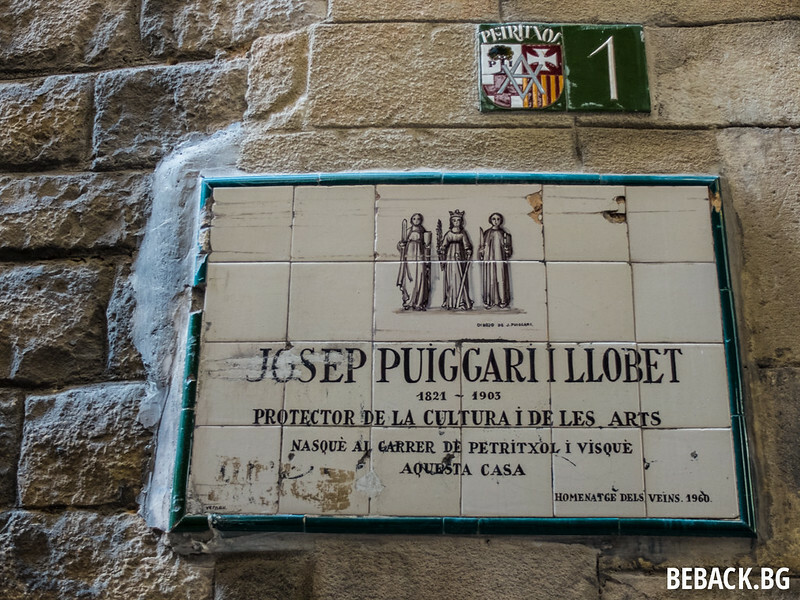 If there’s one street you should visit in Barcelona, it’s Carrer (Calle) de Petritxol. 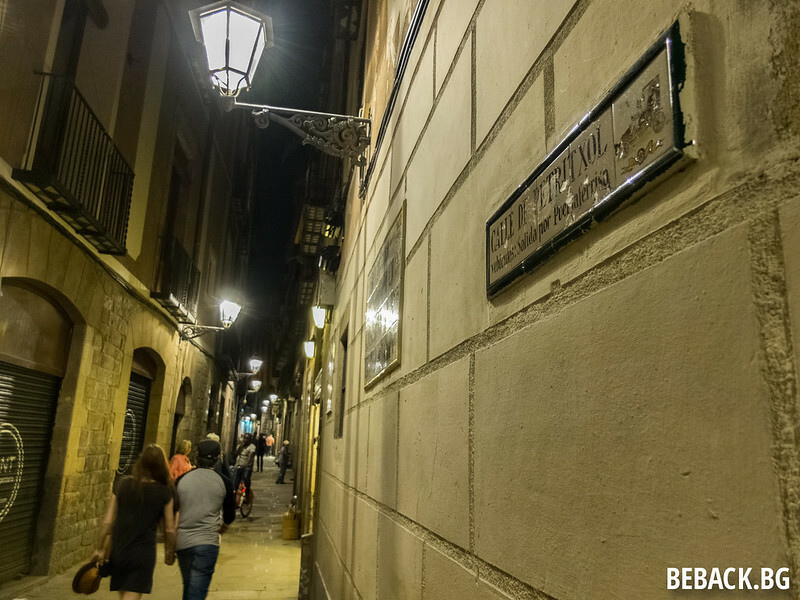 We got there by chance – our Airbnb room turned out to be at N4 of this narrow and short street in the Gothic Quarter of Barcelona. The room turned out to be exactly as advertised – “lovely huge 30mq room with balcony” and we had as a host the nice Italian artist Paola. Too bad she left for a holiday and we did not manage to chat much. We arrived late only to realise that this is one of the nosiest places in the city. As a light sleeper, I’d usually be very unhappy but not these four days. 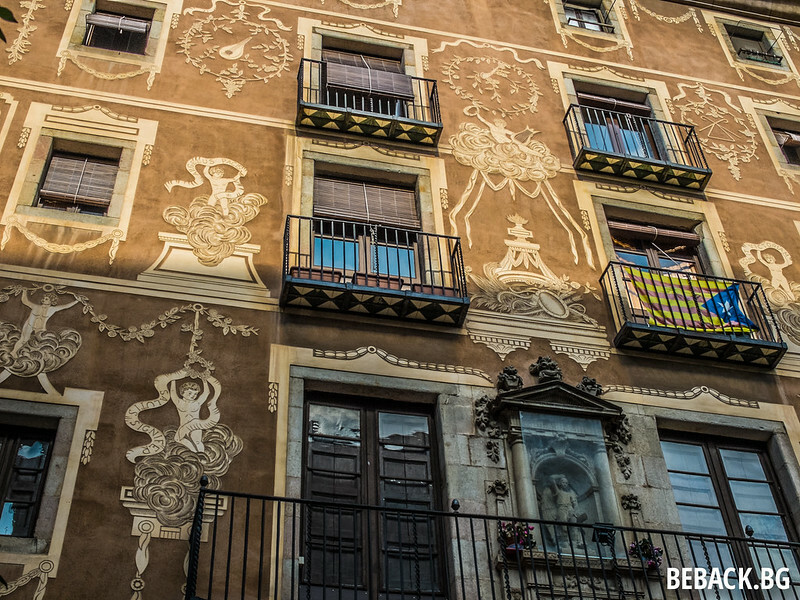 I realised that this helped us feel the vibe of the city – shops and their metal doors morning, evening and siesta; merry locals and tourists; the occasional party at the neighbours or a tour guide with a group… Barcelona can be loud and messy. Well, ear plugs did help. The funny this is that the great free tour that we did on the first day with Runner Bean Tours started at the beginning of our street with a nice example of building decorations. Th whole wall is covered with the white layer and then these shapes are carved, removing most of the material. On this image you can also see the flag that supporters of independence in Catalunya use. 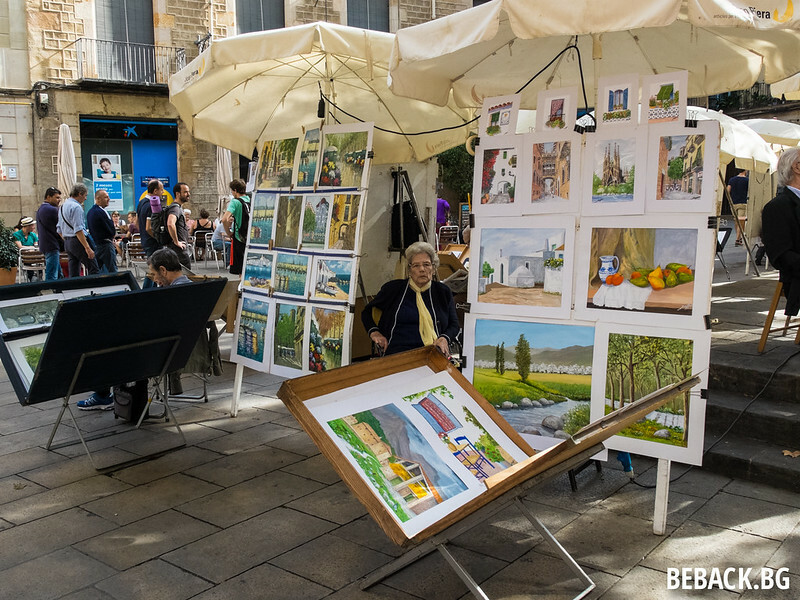 Carrer de Petritxol turned out to be the street for artists. 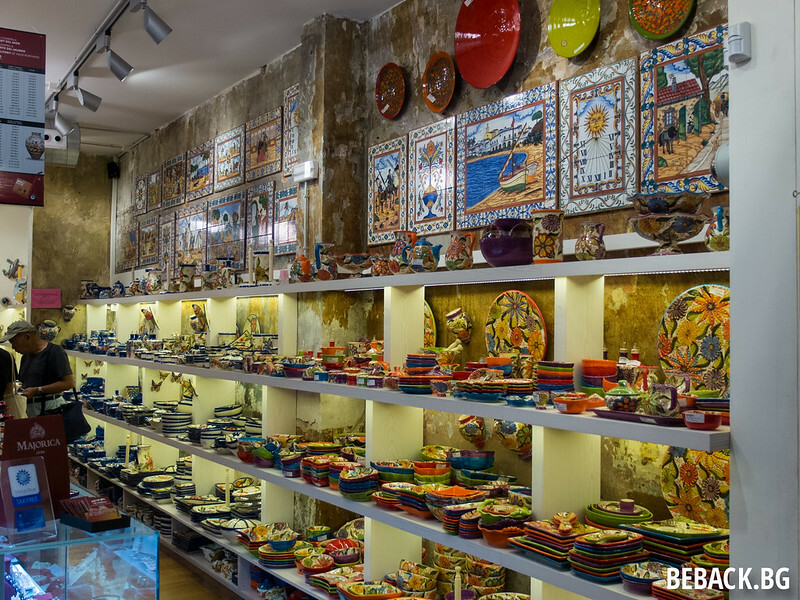 All kinds of little shops with anything that might be necessary to create art in Barcelona as well as the results of the artists’ work in a range of famous art galleries. Even the signs on the street were done in a special way. As you can see, this is also the home place of someone described as “protector of the culture and the arts“. 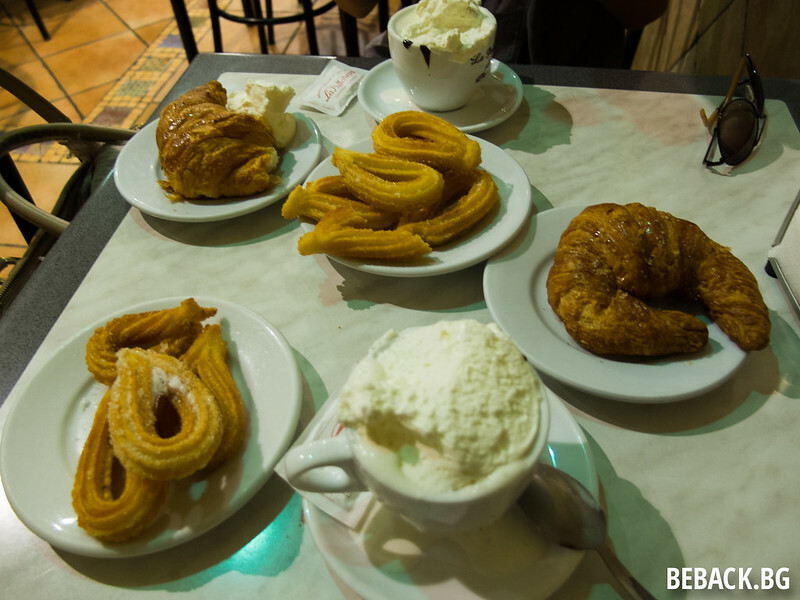 The street also happened to be one of the best places for churros with hot chocolate. What a combination! This is the highly recommended cafe Granja la Pallaresa where also locals gather. If you are worried about your health and weight, don’t worry – the cream they use is very light and a perfect companion to the chocolate. As you can see, we were quite happy with our choice. This narrow passage is so worthy, that it even has its own review in Fodor’s guide. 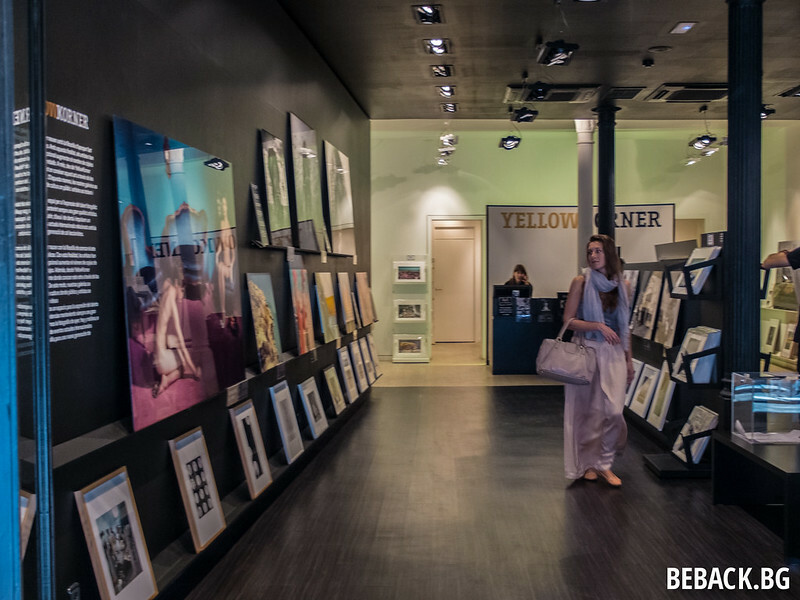 Even if you don’t stay there, make sure you visit while in Barcelona.